Gone are the days of drudging through work in a sad, gray cubicle, or surrounded by closed miniblinds and boring beige. Many companies are recognizing a new opportunity to stimulate creativity and production in their employees with a really inspiring workspace. So, when you’re looking to accomplish a goal or get some work done at home (or on the move), what’s the best way to go about it? Follow the lead of companies like Google, Starbucks or Scentsy, and make your workspace fun! Keep it snazzy (and organized). File your docs, but not in those plain yellow folders — no! There are a ton of stylish storage solutions and office supplies out there now, so shop around to find the just-right stapler, bins and boards to keep your projects (and your energy) on point. Studies show that the colors around you can impact your productivity and motivation , so be thoughtful about what you choose for the walls, and even your notebooks, bag or phone case. Blue or green may help you stay calm, focused and efficient, while yellow is said to stimulate creativity. It’s not hard to find a quote or phrase that really speaks to your inner achiever — that little voice inside that compels you to just get it done. Think about what (or who!) makes you feel motivated, and even if you simply scribble it on a sticky note, hang it up so you’ll see it every day. It’s no coincidence that natural light makes you feel, well, lighter. Position your desk in front of a window and throw open the curtains for smile-producing Vitamin D.
Pare it down and make it portable. Your goals may not always be confined to the house, or your office. Luckily, it’s easy to get work done on the go. Grab a bag in your most inspiring color and fill it with a notebook, planner, pens, your tablet and any marketing resources you might need to share your business with others. Or go one step further and download the apps you need to get the job done right on your phone! A travel-friendly workstation you can literally fit in one hand? Can’t be beat. Let’s be honest: You’re not going to want to stay in a space that doesn’t inspire you or make you happy. Which means you’re not going to get anything done either. From here on out, when you think “work,” think color, light and good vibes all around. Now that you have a plan for creating the ultimate at-home (or on-the-go) work zone, all that’s missing is the right opportunity! Being a Scentsy Consultant means you get to sell cutting-edge products with the support of a world-class company. 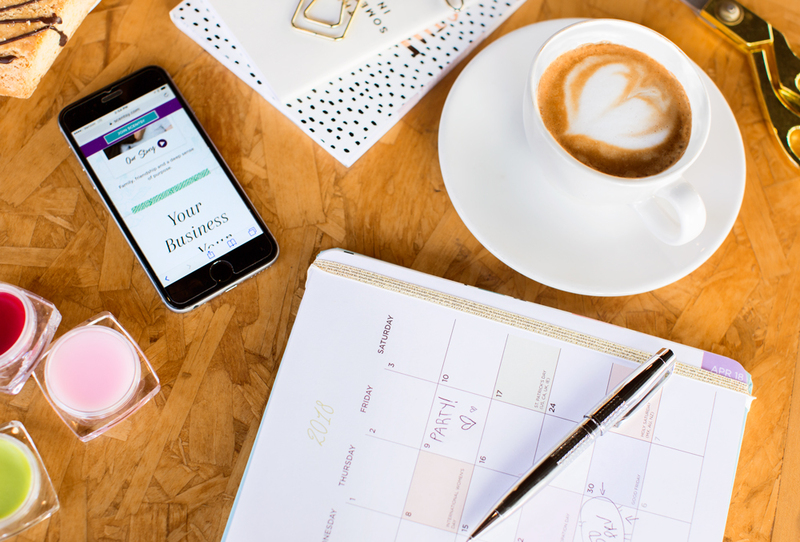 And with Scentsy, you also get to build the business you want — just make it yours. Reach out to your Scentsy Consultant to learn more, or go to scentsy.com. Separator image Posted in Business Help, Social Selling.